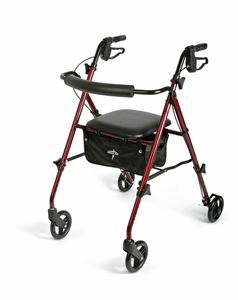 Light Weight Rollator by Medline Canada is perfect for people suffering from mobility issues. Features a bag under the seat that has a shoulder strap and a water-proof pouch. Easy to fold and is easily transportable.